A hotel covered in lush green plants and trees is Asia's best hotel of 2019. Here's what it's like to stay there. TripAdvisor’s annual Travelers‘ Choice awards celebrate the world’s best hotels and resorts. 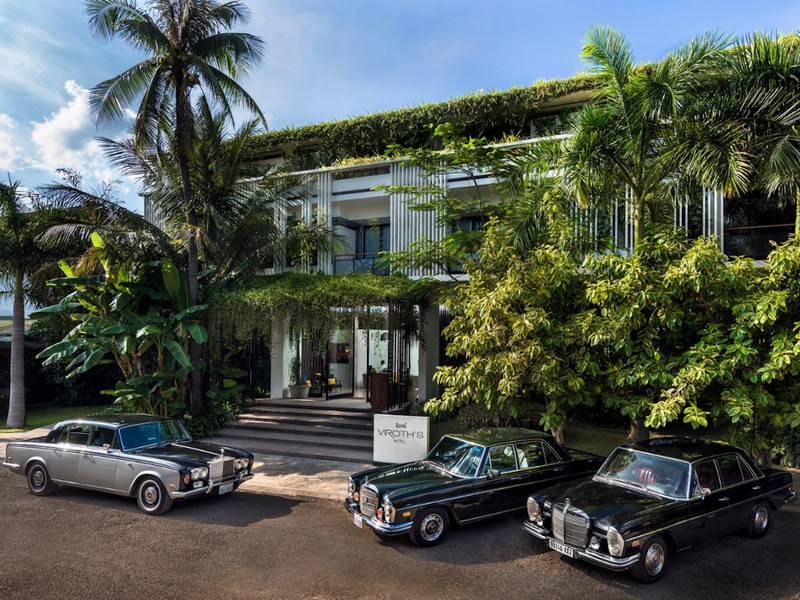 This year, Viroth’s Hotel in Siem Reap, Cambodia, was named the top Travelers‘ Choice hotel in Asia. Travelers who stay in the ’50s-inspired hotel can book lavish spa treatments, swim in a giant pool, eat gourmet meals, and stay in large suites. Guests can also enjoy the location’s lush greenery, which covers the hotel from top to bottom. Each year, the travel site hosts its annual Travelers‘ Choice awards, celebrating the world’s best hotels, restaurants, attractions, and everything in between. And this year, Viroth’s Hotel in Siem Reap, Cambodia, was named the top Travelers‘ Choice hotel in Asia. The ’50s-inspired hotel is known for its lavish spa treatments and 65-feet-long swimming pool. It’s also covered in lush greenery, providing guests with stunning nature views from nearly every room. Here are 13 photos that show what it’s like to visit. Visitors are introduced to the hotel’s greenery immediately upon entering. The outside of Viroth’s Hotel is covered in lush foliage, and gives travelers an idea of what to expect while inside. There are 35 rooms spread throughout Viroth’s Hotel. The most simple are called „Deluxe Double Rooms,“ and the most luxurious are called „Suite Pool View“ rooms. Although the two room types differ in size, they’re similar in almost every other aspect. The rooms feature similar decorations throughout, and both house up to three guests.